Today, amidst busy season, we surprised our very own Melanie Pokorny with a housewarming party. We had cupcakes from Cupcake Heaven, which were as delicious as ever! She was given a card with cash (so she can shop wherever she wants for whatever she needs) and a lovely plant from Boyd’s Flowers. 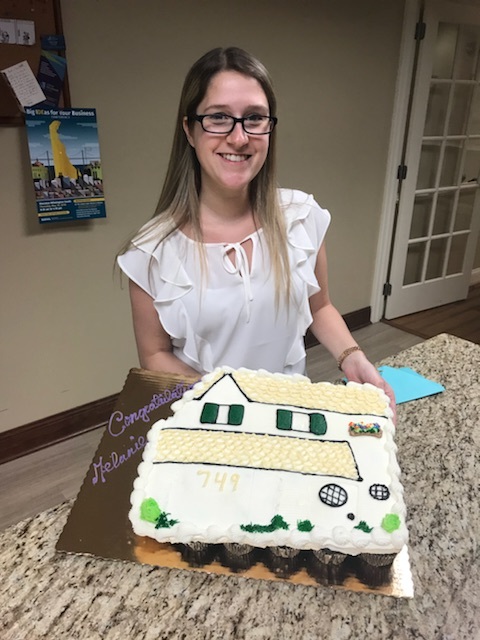 Congratulations Melanie on your new house! We’re all so happy for you!